Yoga has become increasingly popular in mainstream culture, with varied interpretations of how it should be taught and practiced, and increased awareness of its beneficial effects as a healing modality. As a result, yoga therapy has emerged as an effective alternative approach to health and wellness. Explaining the principles and underpinning ideas presented by the yoga therapy movement, James Foulkes identifies the methods leading to the most effective practice. 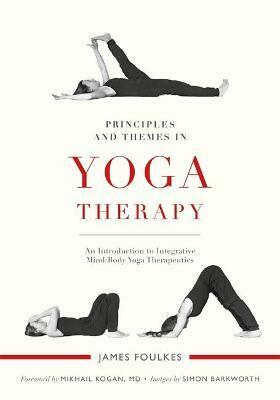 Applying a principles-based approach, he explores the concept of delivering yoga therapeutically and discusses more complete ways of thinking about anatomy and the wholeness of the human being, using theories, illustrations, and case studies. Yoga therapy practitioners will learn to improve their work and more effectively support their clients.